Los Angeles County, Calif. – Vector control officials are warning Los Angeles County residents about potentially dangerous, invasive mosquitoes that have spread rapidly in the past five years. The Greater Los Angeles County Vector Control District (GLACVCD) advises residents to take steps now to prevent the mosquitoes from establishing in their neighborhood. 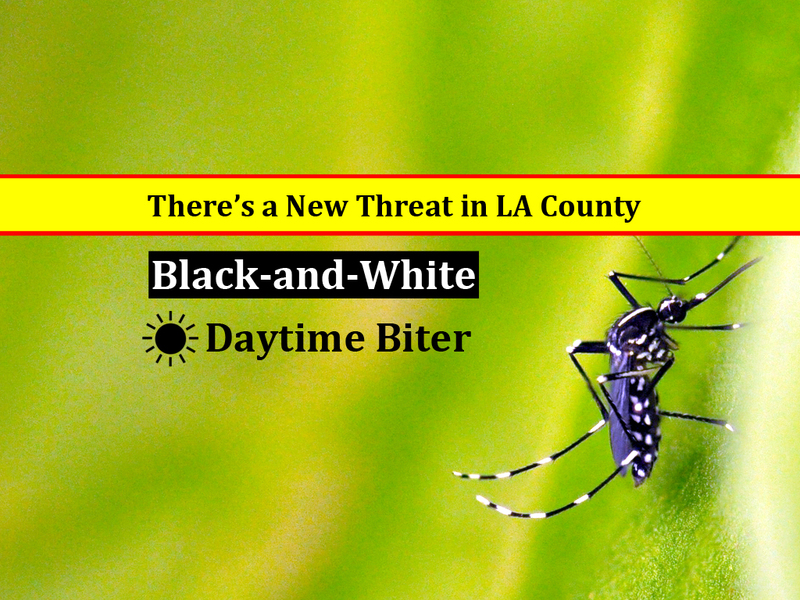 The Aedes mosquitoes are excellent at infesting new communities and vector control officials warn that these invasive Aedes could be anywhere in the county. 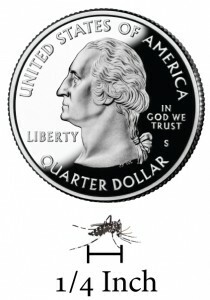 The first major infestation of Aedes mosquitoes was discovered in 2011. There are now more than 20 communities experiencing Aedes mosquito infestations in GLACVCD’s approximate 1340 square-mile service area alone – up from seven communities since the beginning of 2014. See where they are now. Much of the fight against these six-legged invaders occurs in the backyard. Invasive Aedes are able to lay eggs on the sides of small containers, including buckets, plant saucers, and even in recyclables that can hold standing water. Their ability to adapt to urban environments makes these mosquitoes extremely difficult to control in cities around the world. The presence of invasive Aedes mosquitoes increases the risk of residents being exposed to diseases such as Zika, dengue fever, Chikungunya, and yellow fever. These viruses are currently not transmitting locally. Vector control officials actively monitor and control invasive species wherever they are found through a comprehensive invasive Aedes control program. This includes grassroots door-to-door inspections, source reduction, mosquito control techniques, and education programs. Year-round population monitoring yields crucial data necessary to determine the best control options. TIP AND TOSS all containers holding water inside and around around your home. Eliminate plant saucers and other unnecessary containers and thoroughly scrub outdoor pet water dishes weekly to remove eggs. USE INSECT REPELLENT containing EPA-registered active ingredients, such as DEET, Picaridin or oil of lemon eucalyptus, to avoid bites. REPORT any sightings of small, black-and-white mosquitoes, or if you are being bitten by mosquitoes during the day! 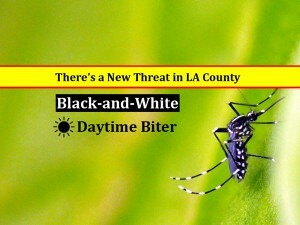 Residents can contact GLACVCD at 562-944-9656 or online at www.ReportMosquitoes.org. See what else you can do.